Much of the proceeds from the sale of the CMOH Edition print will benefit the Allen J. Lynch Medal of Honor Veterans Foundation. Representing one of the most common and gut-wrenching actions experienced by combat troops in Vietnam - a combat assault into a hot LZ. 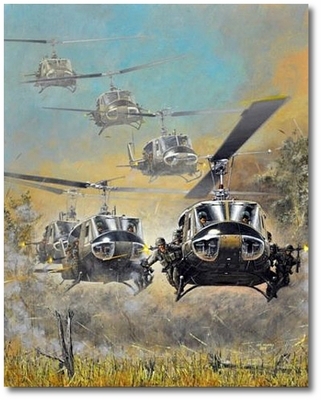 Six UH-1H Huey Slicks descend into a landing zone to deliver infantry as doorgunners provide suppressive fire. This is a special Edition of "Kicking the Hornets Nest" that has been signed by (7) Seven Congressional Medal of Honor (CMOH) recipients; one from WWII, two from Korea, and five from Vietnam. 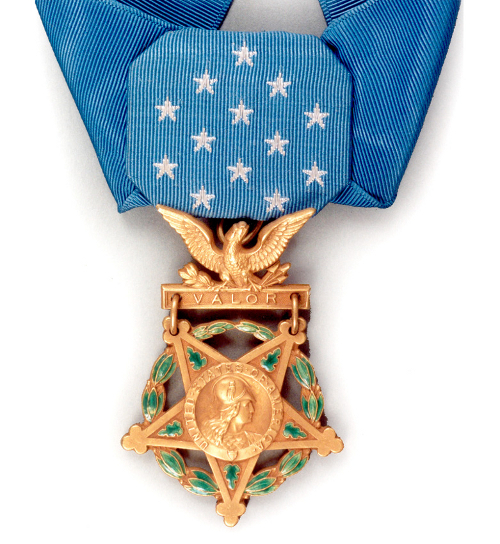 It comes with an extensive Certificate of Authenticity explaining how each recipient received his Medal of Honor and which President presented it. 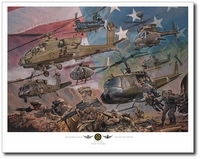 The CMOH Edition offers a very rare opportunity to have seven CMOH recipient signatures on one print.